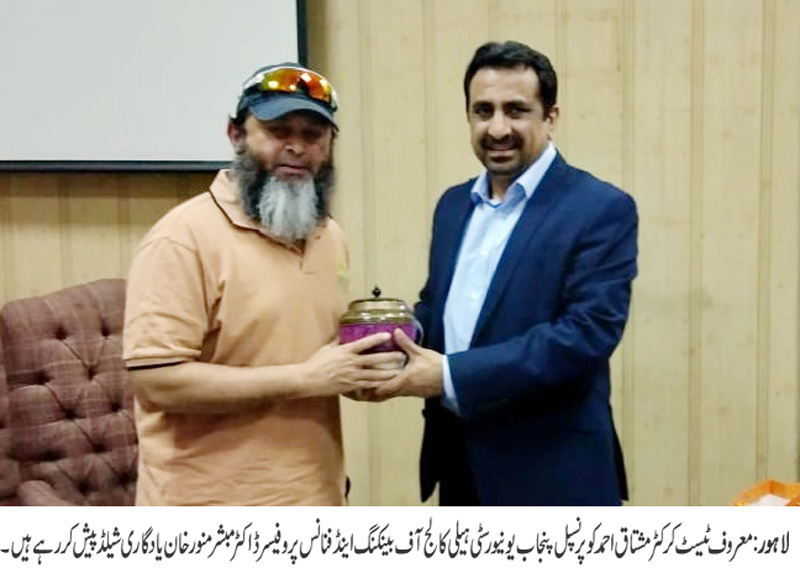 LAHORE: (Friday, November 23, 2018): Renowned cricketer Mushtaq Ahmad has said that the youth of the country should equip themselves with modern knowledge to lead from the front as the youth is the future of Pakistan. He said that the youth should refrain from becoming followers and should strive to become leaders. 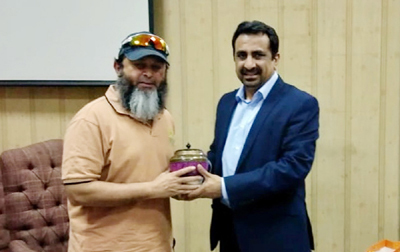 He was addressing a grooming session organized by Hailey College of Banking & Finance’s Character Building Society with an aim to develop ethical standard amongst the youth for mobilizing them for promotion of peace and tranquility in the society. HCBF Principal Prof Dr Mubbsher Munawar Khan, faculty members and a large number of students were present on the occasion. Mr Mushtaq Ahmad elaborated spiritual, moral and worldly benefits of compliance of religious injunctions. He stressed upon the youth to promote respect and love for brotherhood so that the true image of Ummah be presented. He encouraged the youth to take initiative and promote small acts of kindness which have a lasting effect on the life of the human beings and the community. He desired that these concentrated efforts would result in the emergence of a society which would be a symbol of knowledge, justice and sacrifice. Prof. Dr. Mubbsher Munawar Khan in his welcome note appreciated the efforts of Mr. Mushtaq and his colleagues in transforming the youth for the betterment of mankind. He emphasized that education could only contribute positively if it also aimed at spiritual and ethical enrichment of the youth. He applauded the efforts of Character Building Society and its Incharge Lect. Mrs. Tehreem Sadiq in organizing such activities which could have a great impact on the lives and attitudes of the youth.